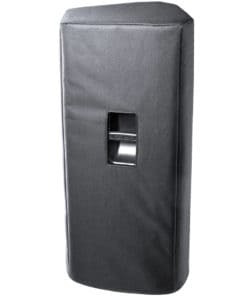 High-quality Amplifier dust cover for LINE 6 412 ST SLANT CABINET. High-quality Amplifier dust cover for LINE 6 AX 2 212 COMBO. High-quality Amplifier dust cover for LINE 6 DT 25 112 COMBO. High-quality Amplifier dust cover for LINE 6 DT 25 HD AMP. High-quality Amplifier dust cover for LINE 6 DT 50 112 COMBO. High-quality Amplifier dust cover for LINE 6 DT 50 212 COMBO. High-quality Amplifier dust cover for LINE 6 DT 50 AMP. High-quality Amplifier dust cover for LINE 6 FLEXTONE 2 XL COMBO. High-quality Amplifier dust cover for LINE 6 FLEXTONE 3 PLUS COMBO. 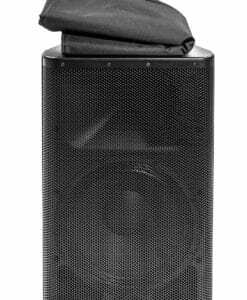 High-quality Amplifier dust cover for LINE 6 FLEXTONE 3 XL 2 X 12 COMBO. High-quality Amplifier dust cover for LINE 6 FLEXTONE HD AMP. High-quality Amplifier dust cover for LINE 6 HD 147 AMP. High-quality Amplifier dust cover for LINE 6 HELIX 1 PEDALBOARD. High-quality Amplifier dust cover for LINE 6 LOWDOWN LD 150 COMBO. High-quality Amplifier dust cover for LINE 6 LOWDOWN STUDIO 110 COMBO. High-quality Amplifier dust cover for LINE 6 SPIDER 2 112 COMBO. High-quality Amplifier dust cover for LINE 6 SPIDER III HD 75 AMP. High-quality Amplifier dust cover for LINE 6 SPIDER IV 150 COMBO. High-quality Amplifier dust cover for LINE 6 SPIDER JAM COMBO. High-quality Amplifier dust cover for LINE 6 SPIDER VALVE 212 COMBO. High-quality Amplifier dust cover for LINE 6 SPIDER VALVE MK II 112 COMBO. High-quality Amplifier dust cover for LINE 6 SPIDER VALVE MK II HD AMP. High-quality Amplifier dust cover for LINE 6 VETTA 2 X 12 COMBO. High-quality Amplifier dust cover for LINE 6 VETTA II 2 X 12 COMBO. High-quality Amplifier dust cover for LINE 6 VT 30 COMBO.